Consider The Sauce has addressed Melbourne’s fixation with burgers a couple of times in recent months. 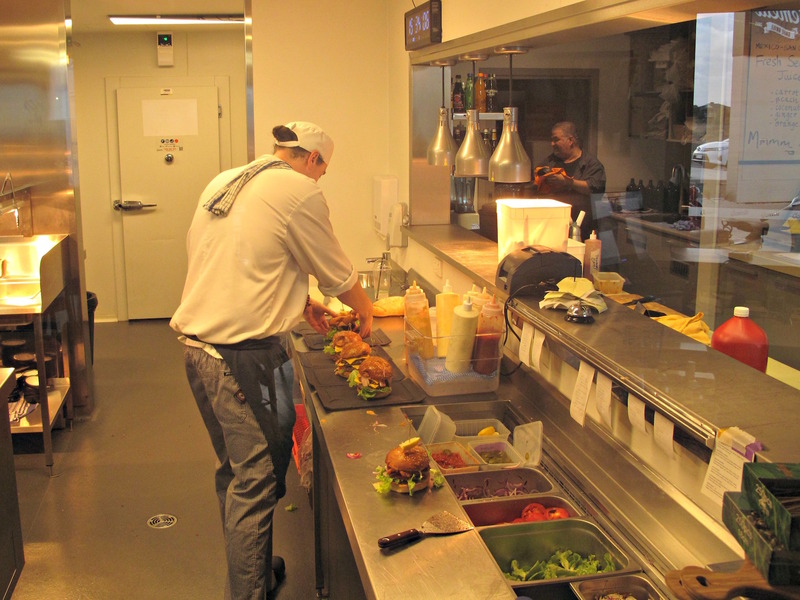 We’ve even been known to mutter about “burger burnout”. We eat more of them! This is not a burden when the ones we try are so very, very good. And it’s a special pleasure when we find them at places that are simply not part of the developing burger scene as such. First, a few weeks back, there was the fabulous burger ‘n’ chips combo at Searz in Newport. Tonight it’s twin Gemelli Burgers at a newish cafe/grill in Point Cook. 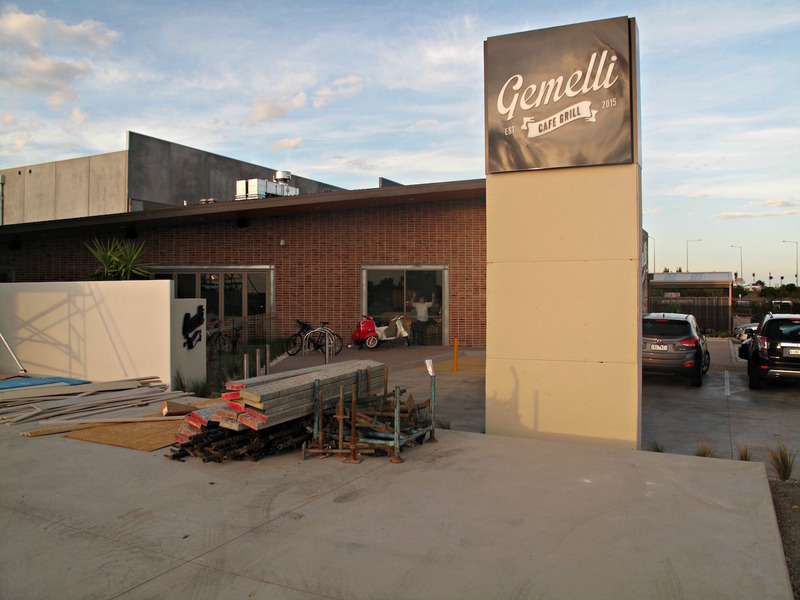 Gemelli has been open a few weeks and is already a big hit with locals. And so it should be! It’s located in a commercial precinct on the opposite side of the freeway from Williams Landing station. So new is the neighbourhood that there is building activity going on aplenty. 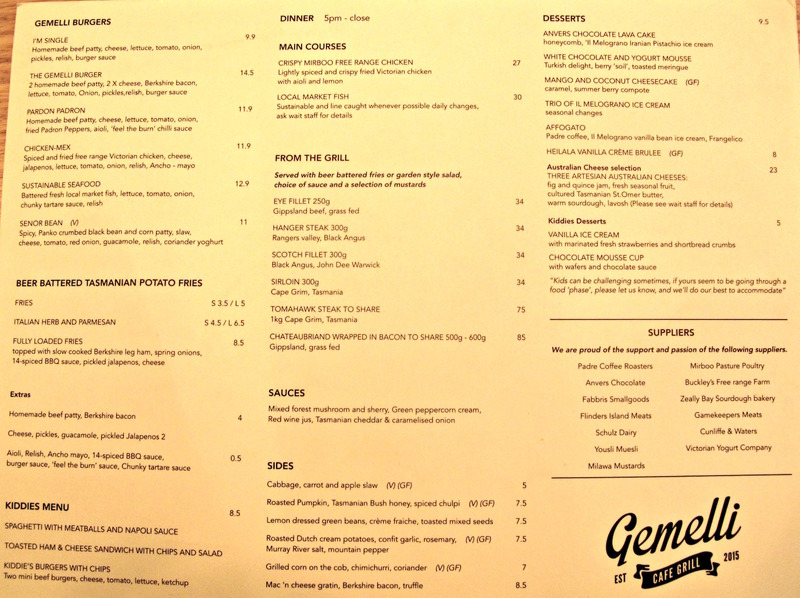 But for locals, and the overwhelming majority of them around here are young families, there’s not a lot about in terms of food so Gemelli surely seems like a gift. So much so that perhaps we are chancing our arms a little by hoping to simply waltz in for a mid-week dinner. But all is good as we wait just a few minutes for a table to be cleared. Among the various comments I have seen from (mostly very happy) customers have been a few noting a certain skittishness as the young floor staff get comfortable with their roles. We talk with a few of them and find they’re all locals and that for most of them these are their first serious jobs. We find them all cheerful and capable and the service top-notch. 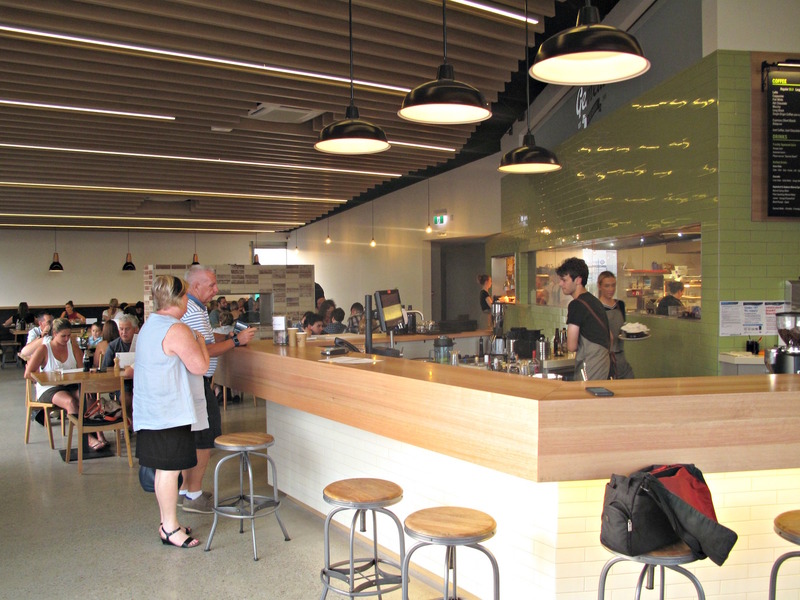 As you’d expect, the dining space has a “family restaurant” feel – and if there is a bit of shopping centre food court vibe going on as well, it is soon forgotten as we get to grips with our dinner. 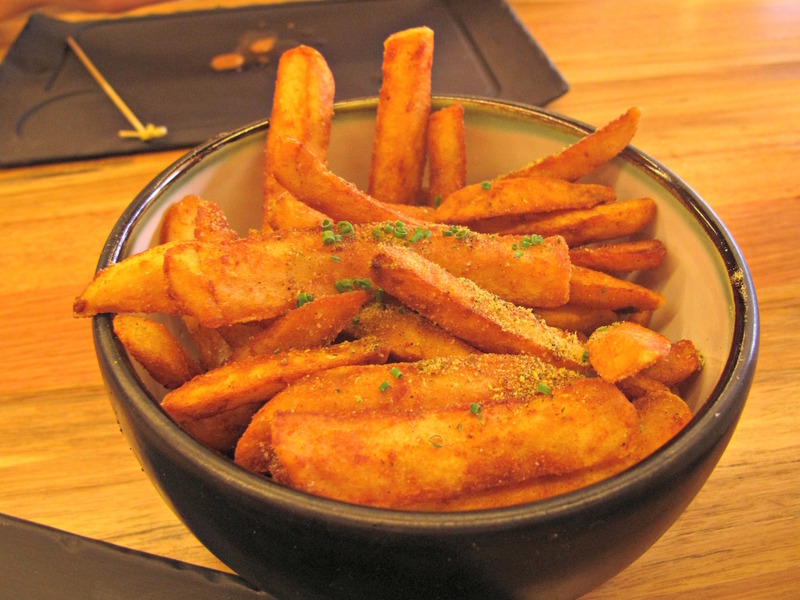 A large serve of “Italian herb and parmesan” fries ($6.50) is not particularly cheesy but the chips are fine, hot and tasty. A small bowl of aioli is provided upon request. We both choose, from a line-up numbering six, the top-of-the-line Gemmelli Burger ($14), which is described as “2 homemade beef patty, 2 X cheese, Berkshire bacon, lettuce, tomato, onion, pickles, relish, burger sauce”. The meat is, well, very meaty and a chewy delight. 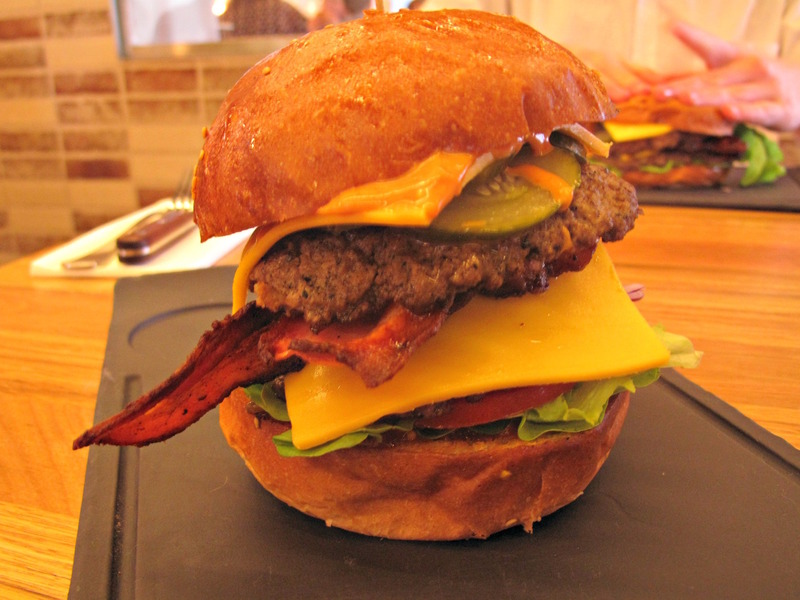 The bacon is crisp and its flavour permeates the whole burger – such is not always the case. The pickles, too, assert their presence and all the other protagonists are deftly put together to create perfectly balanced burgers. As with the Searz burger, this is a 9/10 effort. I prefer Gemelli, Bennie prefers Searz. We’re out of there for just over $42 including two soft drinks. 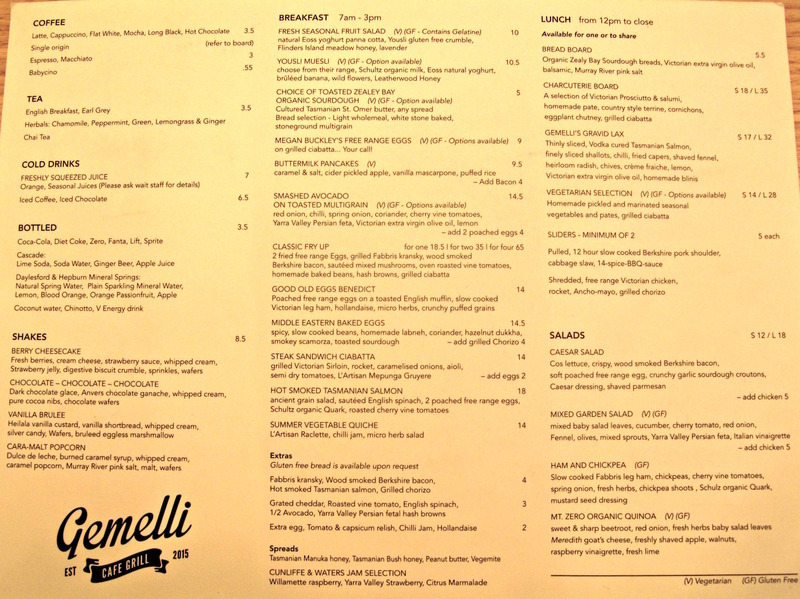 See the Gemelli Facebook page here and its website here. 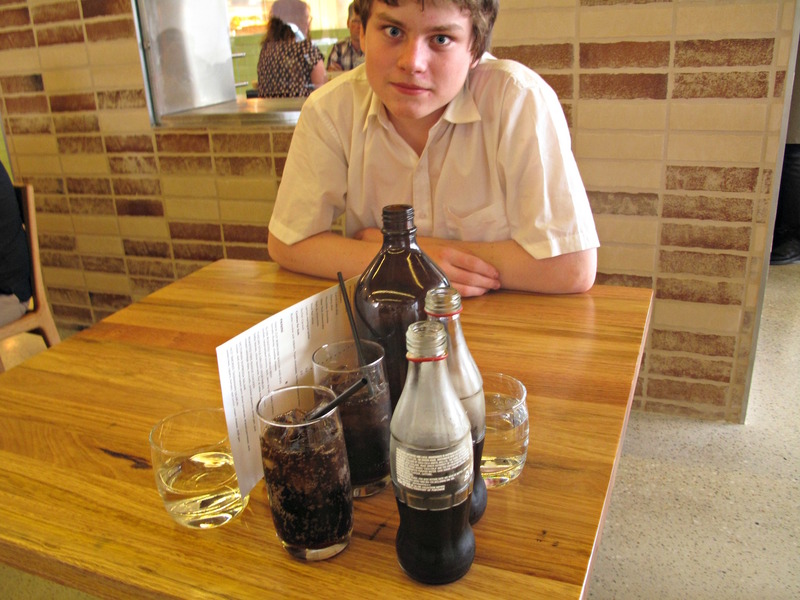 Corralling the drinks so Bennie doesn’t finish them off before our food arrives. who needs interpretation of 3 ancient world food meat,vegie&bread!! yes please put them together & give it to me whatever its called..yum burger rules..the only food world can agree that we love it & if we don’t eat it,the reason is not bad taste but other resaon(diet)! !